Lots has happened since 2DCon! There’s been 38 bug fixes or features added since the show. Another huge thank you to everyone who tested there, provided feedback, and gave us their ideas. Added some of the new style house art that Lizzy made. It looks amazing, and even better- it’s customizable. As developers, we can swap out the doors and windows for different styles, and arrange them differently depending on our needs…. 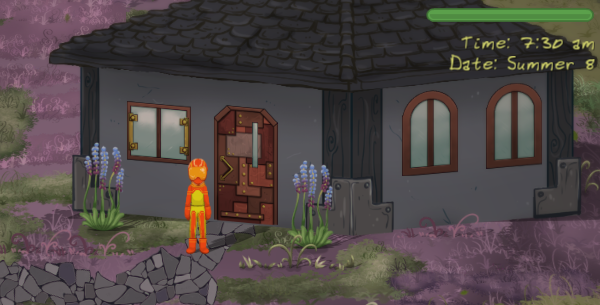 and that means that when it comes to the player’s house, there are lots of decorating options! 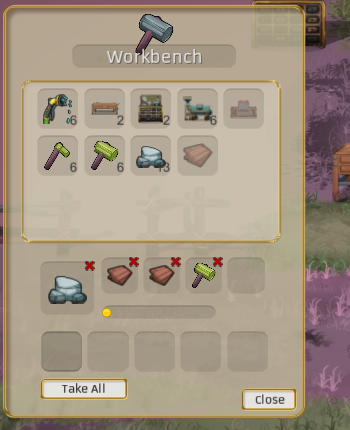 You can now cancel something that you are crafting at the workbench. You get back 100% of your materials! Fix up some problems and inconsistencies with the seed selector. 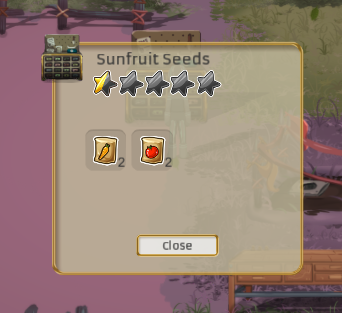 It now has a close button, and your seeds no longer appear in the inventory- only in the seed chest. * Fix bugs with the timer bar on the crafting window. * Fix issues with the final quest not completing- add another quest to clarify what the player should be doing. 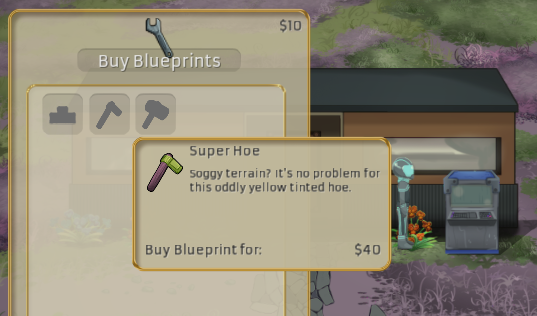 * Remove that annoying unclickable piece of scrap by Rosie’s house. 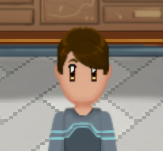 We also added more dialog to Wyatt, the third character you unlock early in the game. 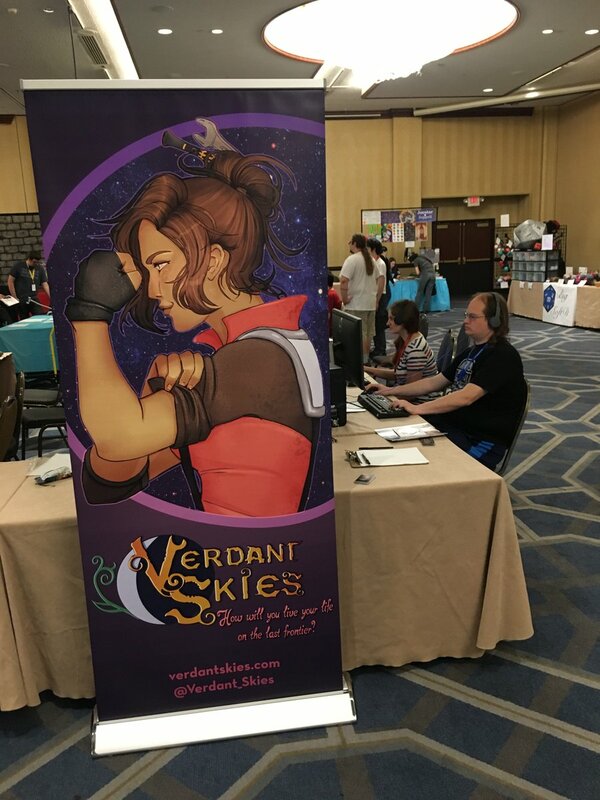 Verdant Skies is at 2D Con! Stop by for the first public showing!